Air Science® manufactures a complete series of high efficiency products designed to protect the user, the process and the environment from hazardous vapors, fumes, and particulates. Our products and manufacturing processes are designed to minimize environmental impact to our community, and to support our customers in efforts to comply with LEED and other recommended practices in laboratory and facility management. At the heart of our product line is the innovative Multiplex™ Filtration Technology, designed exclusively by Air Science® to create a safe work environment over the widest range of applications in the industry. Located in Fort Myers, Florida, USA our new 45,000 square-foot, state-of-the-art manufacturing facility and corporate headquarters houses an integrated sales administration, research, engineering, testing, production, technical service and logistics group working on behalf of our customers worldwide. The New DWS range of Downflow Workstations from Air Science give operators safety where routine work is being carried out. 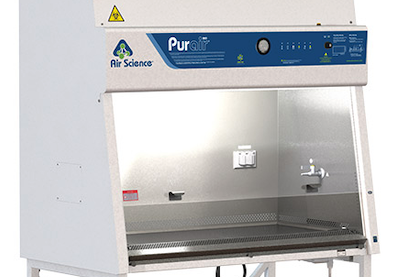 Air Science's new Purair FLOW series laminar flow cabinets are designed to protect the work surface, products and materials from particulate contamination. Air Science® has introduced the Safefume™ Cyanoacrylate Fuming Chamber which is designed to safely develop latent fingerprints using ethyl cyanoacrylate (CNA) vapor in a controlled environment, the Safefume delivers optimum effectiveness and safety where moisture and fuming time are critical factors. 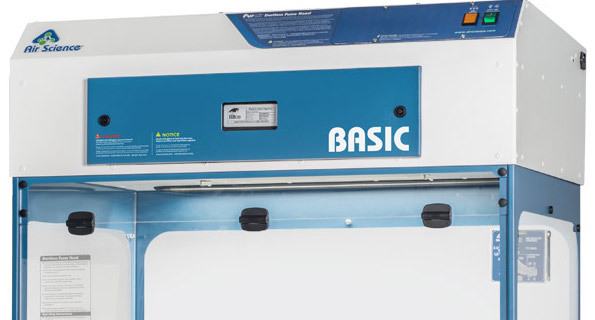 The full line of Ductless fume hoods from Air Science® protects personnel and the environment from toxic or volatile chemicals so that you can concentrate on what matters most: your work. Air Science introduces a NEW line of Ductless Nanoparticle Containment Enclosures. Air Science has introduced a NEW line of Vertical Laminar Flow Cabinets. The Purair Advanced P20 Ductless Fume Hood has been designed to provide operator protection when using hazardous substances. The NEW Air Science Vent-Box ductless filtration system is designed to protect laboratory personnel from chemical vapors found inside of stand alone chemical safety cabinets. Air Science provides containment solutions to meet any analytical need. The NEW Safestore™ Vented Chemical Storage Cabinets from Air Science are ideal for storage of noxious or odorous chemicals. New Environmentally Friendly Ductless Fume Hood Sep 17, 2010 Air Science has introduced its NEW Purair ECOTM line of Energy-Saving Ductless Fume Hoods designed for both chemical and particulate protection over a broad range of laboratory and industrial applications.